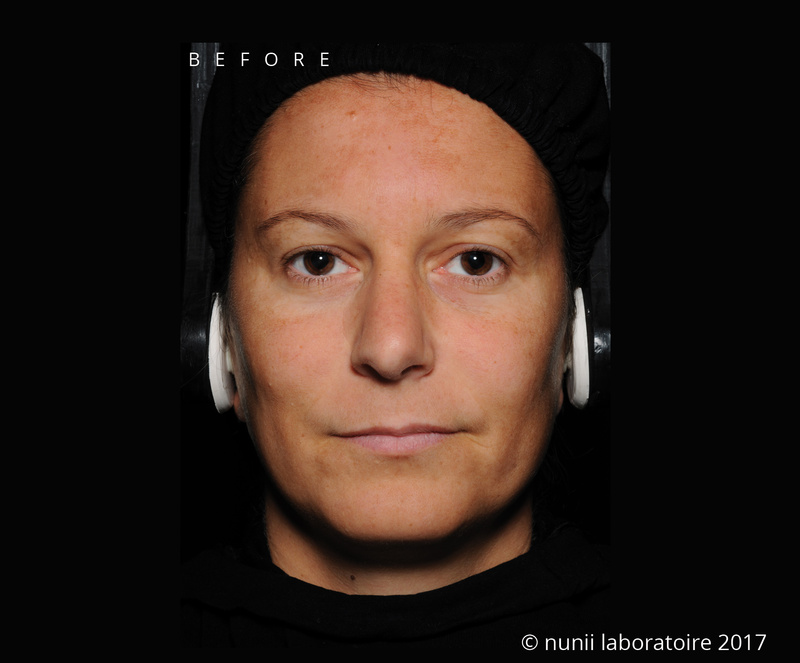 nunii Laboratoire is a French biomedical research laboratory whose vision is to bring to the international aesthetic medicine market a portfolio of brands that anticipate and satisfy the desires and needs of women and men to have healthy beautiful skin. 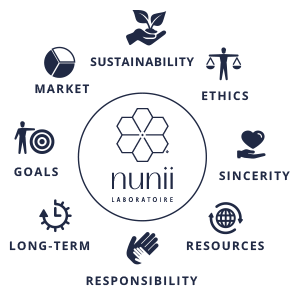 From our very foundations nunii Laboratoire’s ethos has been based on a continuous improvement approach which aims to take into consideration the social economic and environmental impact both positive and negative of all its business areas. The objective being, to define concrete actions to meet economic based challenges in order to reconcile, profitability with the environment and social equity. 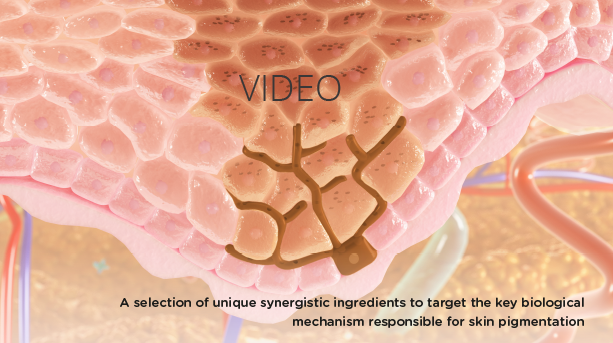 We at nunii Laboratoire commit that our ingredients and products are clinically proven and safe for people with limited impact on the environment. Our objective is to meet both doctor and patient expectations. 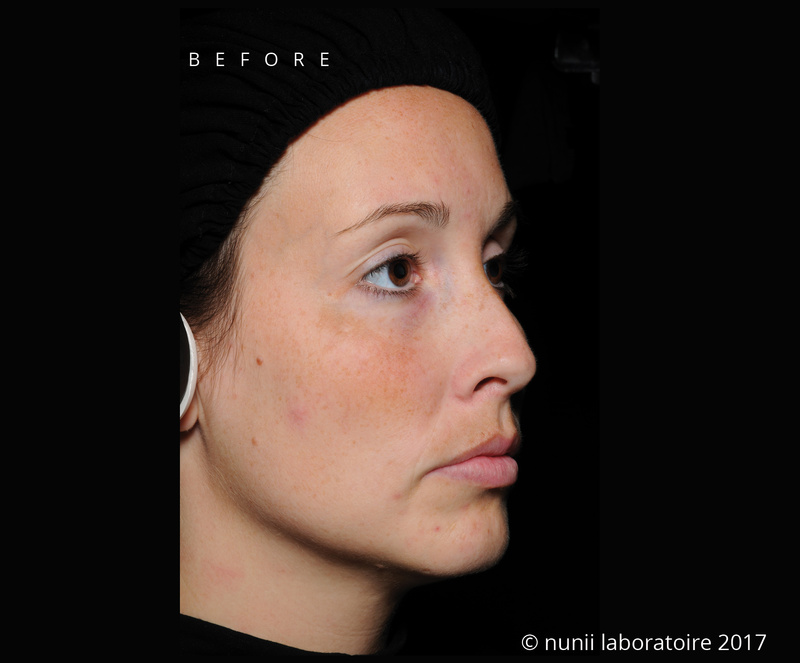 nunii laboratoire acts by limiting controversial and irritating ingredients in our products and by communicating this openly and transparently. We strive for the highest ethics in our selection of and practices with partners and clients. nunii a fusion of new and unique, evoking the beautiful simplicity and purity behind our brand. 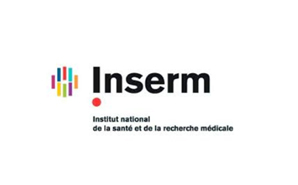 Our logo resembling the form of atom or molecule reflects the breadth of science and clinical precision that informs the creation of our products. We work with an international network of world leading experts in research and development, clinical research and regulatory, to bring to market our range of innovative medical devices and dermo-cosmetics. 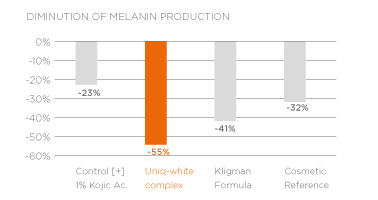 Comparative study of UNIQ-WHITE® Complex on depigmenting properties. 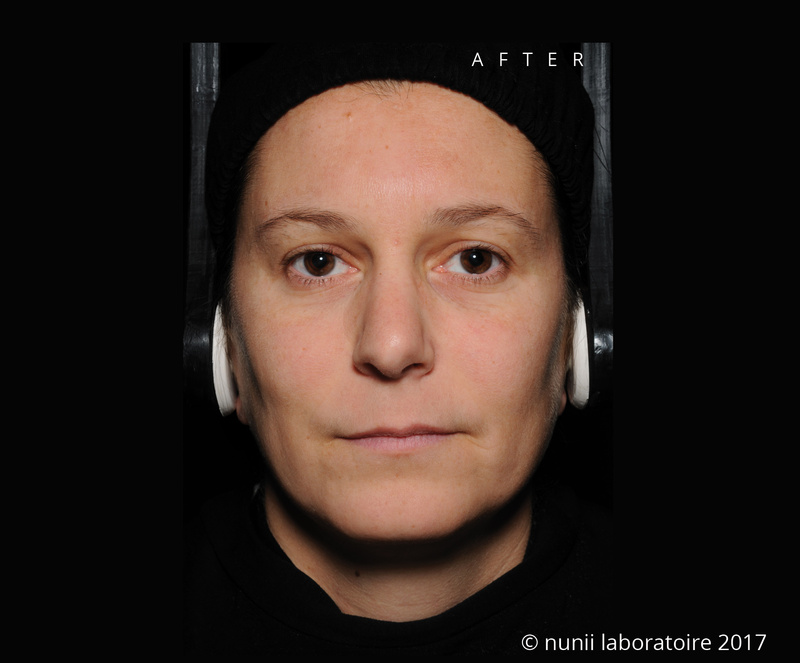 Study performed by an accredited1 French Laboratory on Reconstructed Pigmented Human Epidermis (RPHE) phototype 5. 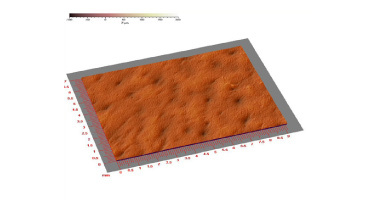 Results obtained after 10 days compared to the non-treated RPHE. 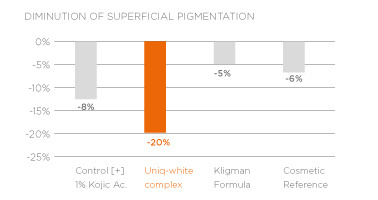 Clinical assessment of the depigmenting, texturing properties and tolerance of the UNIQ-WHITE® System. Study performed on 22 volunteers with melasma and lentigo for a period of 56 days2. index – p<0.00001 after a period of 56 days2. The statistical analysis shows a significant improvement in skin firmness and tensing effect. 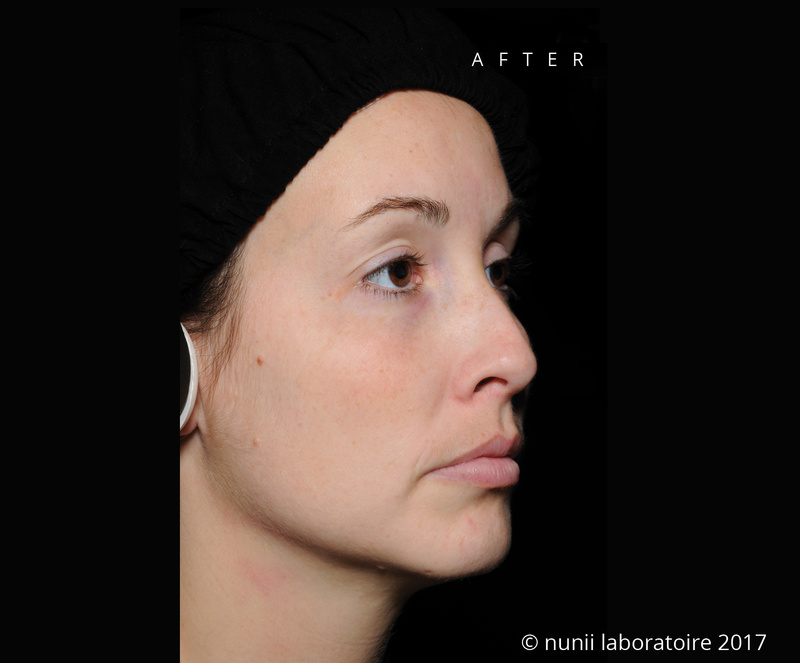 The reappareance of the skin micro-relief with discrete primary and secondary lines intersecting at regular intervals, is a good indicator of the improved quality of the underlying organization of the skin tissue. OF THE VOLUNTEERS HAD A GOOD TO EXCELLENT TOLERANCE TO UNIQ-WHITE SYSTEM.